Can You Fry With it? Extra Virgin Olive oil contains mostly monounsaturated fatty acids (only one double bond), which means it is resistant to higher cooking temperatures. In one study, researchers heated extra virgin olive oil to 180 degrees Celsius (356 degrees Fahrenheit) for 36 hours. The oil was highly resistant to damage (37). Another study used olive oil for deep frying, and it took 24-27 hours for it to reach damage levels that were deemed harmful (38). 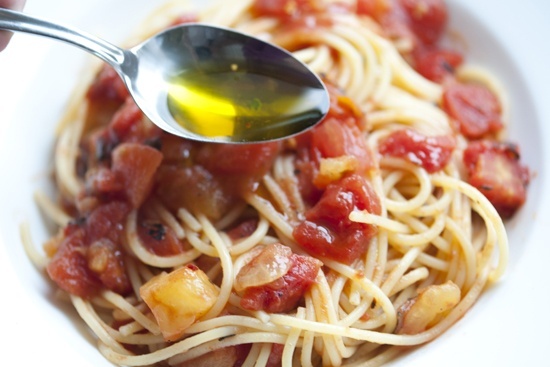 Overall, Extra Virgin Olive Oil is a very stable oil for cooking at high temperatures. Longridge Estate EVOO is the ideal way to complement a variety of fresh salads. It’s mild fruity flavour makes it perfect for home made mayonnaise and for drizzling over roast veggies. You can add it to pasta water, coat a fillet of fish or hearty roast before you pop it in the oven. 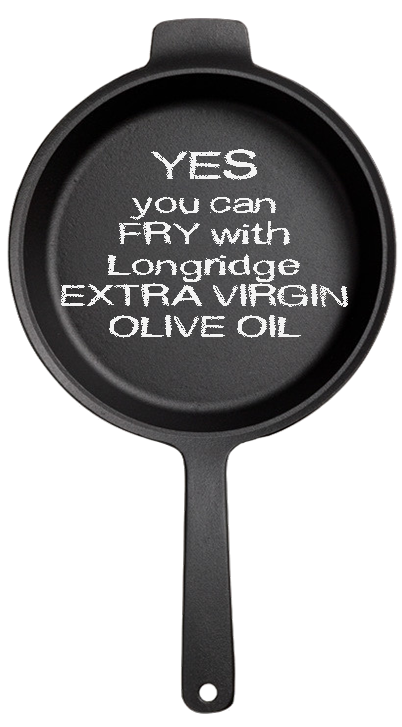 You can add Longridge EVOO to sauces and soups. It is perfect for deep frying and is a much healthier alternative. 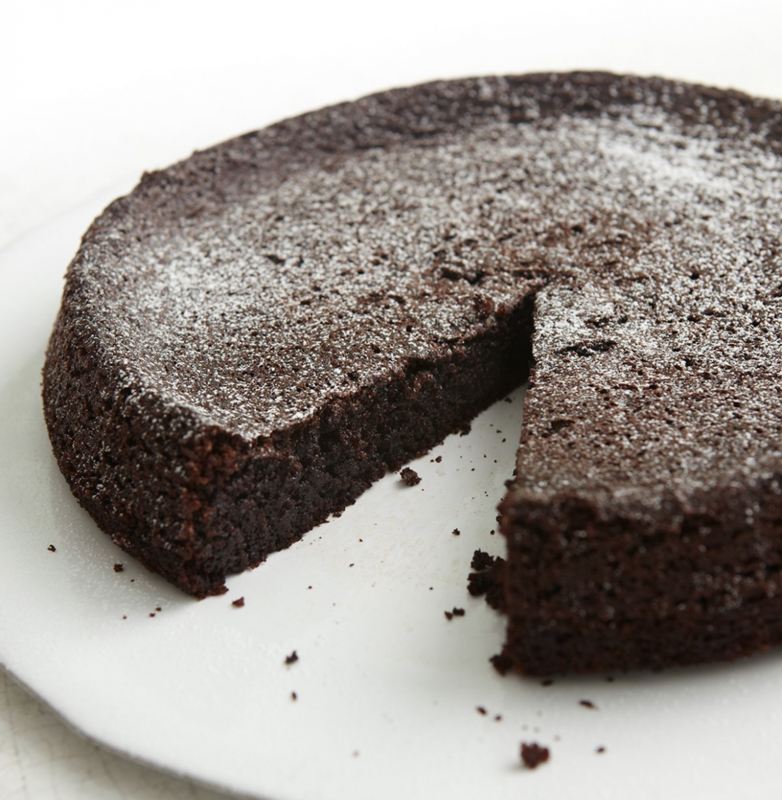 I use our Longridge EVOO in all my baking as a substitute to butter… it makes the most beautiful chocolate cake. You can place a bowl of Longridge EVOO, with a dollop of balsamic vinegar in it on your table and accompany that with chunks of crusty bread and dukkah. This is a meal in itself and makes the perfect appetiser for your next dinner party or lazy lunch with family and friends. Our #ExtraVirginOliveOil is the only oil you need in the kitchen or on the table. And you don’t have to save your favourite oils for salads, dressings, and vinaigrettes. 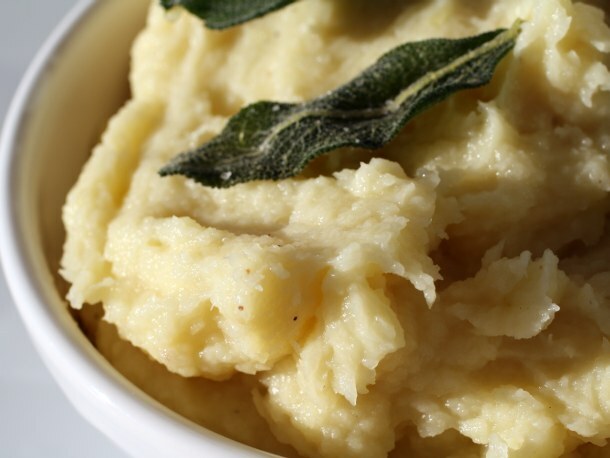 Pour our olive oil over baked potatoes or add to mashed potatoes instead of butter, and use when sautéing or frying. The nutritional value and composition of olive oil is not altered through heating. Extra virgin olive oil contains its own natural antioxidants that protect its integrity in cooking. Olive oil is a most stable fat and stands up well to high temperatures. Its high smoking point (210ºC) is substantially higher than the ideal temperature for frying food (180ºC). 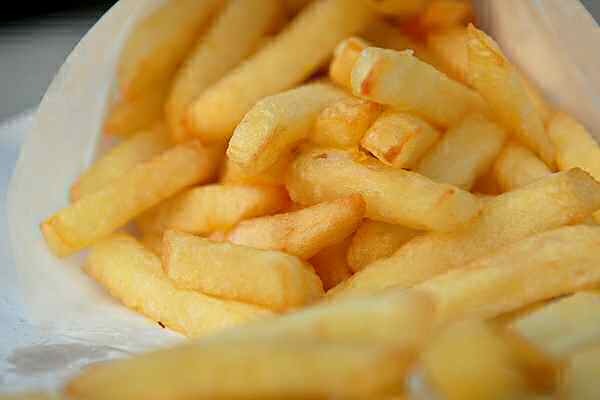 Food fried in olive oil has a lower fat content than food fried in other oils because when olive oil is used, very little is absorbed during frying. The better the quality of the EVOO the higher the smoking point. Vegetables, like olive oil, have long been associated with improved health. Some of the healthiest, vegetables include: all the brassica family – broccoli, Brussel sprouts, cabbage, cauliflower, kale; any vegetable with deep color, like carrots, peppers, winter squash; and anything leafy and green – spinach, collard greens, etc. Just about any vegetable is more tastier when roasted in Extra Virgin Olive Oil, especially that contain sulfur such as listed above). Did you know? Broccoli, Brussel sprouts, cabbage, cauliflower, and kale contain a phytonutrient called (glucosinolate) that has been shown to be cancer protective, but it is water soluble, so boiling or steaming these vegetables means you will not get the health benefits from this phytonutrient, since it will be lost in the cooking water. 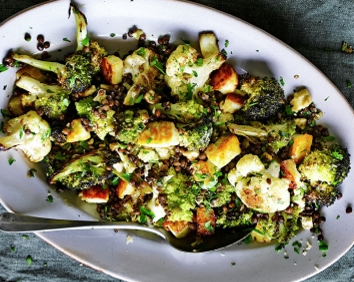 Cooking the brassica family in extra virgin olive oil therefore means that you get both the health benefits of olive oil itself and of the cancer-fighting phytonutrients in the vegetables. 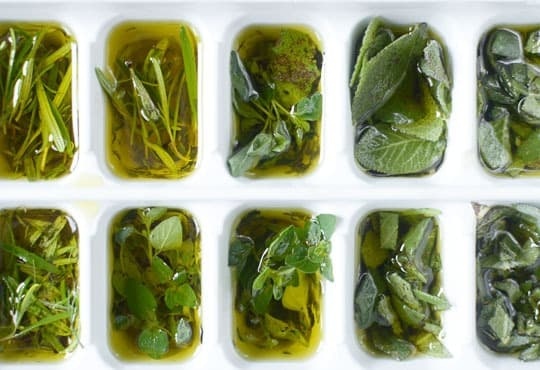 Fill a standard ice cube tray with finely chopped (hardy herbs) such as rosemary, sage, thyme and oregano. You can mix them together or do them separately. Fill each cube with Australian Extra Virgin Olive Oil, cover in plastic wrap and freeze. Once frozen you can take them out and put them into a separate container; however remember to label it. 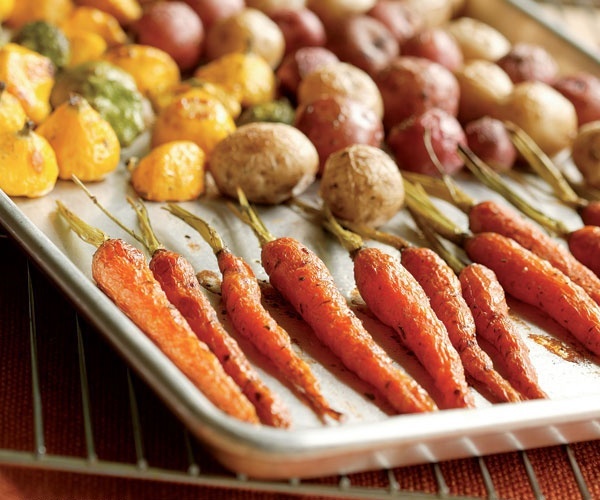 Preserving herbs in EVOO reduces browning and freezer burn that herbs can get in the freezer. It is a great way to add flavour to winter stews, roasts, soups, pasta, fish and potato dishes. Cook your onion and garlic with the herb infused EVOO to really enhance the flavours. I decided to make Nigella Lawson’s Chocolate Olive Oil Cake and it was absolutely lovely, It is a dense rich cake that can be iced or served with just cream. I opted not to use the almond meal but it would taste equally as good if you did. I naturally used my own home grown Longridge EVOO which is quite fruity, however the bitterness of the chocolate disguised the flavour of the olive oil; personally I don’t mind tasting the olive oil, it reminded me that the fat being used in the cake is a good, heart friendly fat. The kids loved this cake and I’ll definitely make it again.